Do you want to pursue a Hospitality and Tourism industry Related Career? Do you Love serving people? If YES, here are the high paying career opportunities in the Hospitality and Tourism Industry. The Hospitality and Tourism industry is an emerging yet a rewarding one. It is the fastest growing industry in the world and grown faster than the global economic growth during the last seven years. It is one of the few industries today which is not only profitable but is also sustainable and flexible. For the Hospitality and Tourism industry there are many career options that are available globally. The opportunities are plenty for individuals who are focused on Career and wish to know about things they can gain from this wonderful industry. One good thing about this industry is the fact that more and more people delve into the industry with each passing day. This can be attributed to the fact that it is a flourishing industry around the world. The Hospitality and Tourism industry is one of the world’s largest industries with a global economic contribution (Direct, Indirect and Induced) of over US $ 7.6 trillion. The direct economic impact of the industry including accommodation, transportation, entertainment and attractions was US $ 2.3 trillionin 2017. 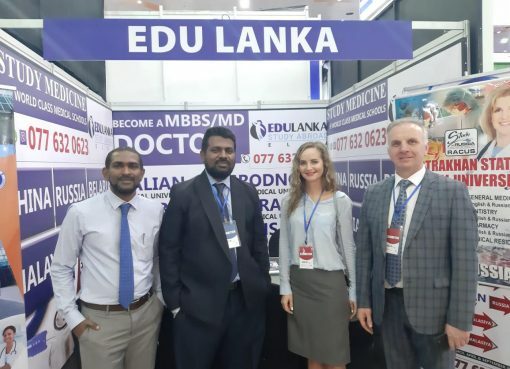 Hospitality and Tourism industry is growing rapidly in Sri Lanka with over 450,000 employed in the industry at present and expected to grow to 1.2 million or 12% of the total workforce by 2028. Industry growth at a higher rate than the global economic growth, the hospitality industry creates careers in all parts of the world. However due to the shortage of qualified and highly skilled trained staff the skills gap in all major tourist destinations are a concern for the industry leaders. The skills gap prevails in countries like Sri Lanka which is around 100,000 staff shortage at present and if the same trend prevails the shortage expected to rise to 300,000 by 2023. Middle East countries are facing a similar situation with the industry growing and having difficulties recruiting the right personnel for the job roles. All three major countries that attract migrants are saddled with the skills gap in the Hospitality and Tourism sector. The industry’s growth in these countries and lack of skilled and qualified individuals has created many opportunities with well-paid careers and better quality of life. The number of job opportunities that would open in a country is directly proportional to how high the level of skill gap is in that country. Of course, to be able to obtain a chance to walk into the best options that lie in your way, a recognized qualification will do more than half of the work for you. By the year 2025, Australia, New Zealand and Canada is need of approximately, 50,000 + employees (On Average for each country) to fill up their vacancies in the Hospitality and the Tourism industry. Why you should become a professionally qualified and skilled Hospitality Professional? A Career in the Hospitality and Tourism industry has become very lucrative in terms of earning capacity, training and development, travel around the world and work in many countries without geographical boundaries. It is also an industry where you meet so many different nationalities, cultures and speakers of many languages. When it comes to “Hospitality” the society often thinks of careers such as Waiters and Baristas only, however in truth, the industry is one of the largest sectors with the highest variety of job roles starting from being a creative person to the corporate minded. Australasian Academy of Hospitality in partnership with Evolution Hospitality Institute (EHI) offers globally recognized Australian qualifications in Hospitality Management right here in Sri Lanka. AAH is the only Australian owned higher education institution in the country with academic staff from Australia delivering the program with strict quality controls and modern teaching methods. AAH is the only Hospitality Management Education Institution that provides Paid Internships in Leading Hotels in Sri Lanka and Overseas. 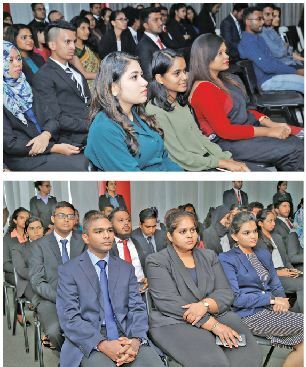 Our partner Hotels in Sri Lanka, UAE and Singapore provides ample opportunities for our students to gain valuable work experience before they graduate in their country of choice. If you are a after O/Levels or A/Levels looking forward for a lucrative career and career progression in a global context, Hospitality Management Degree at AAH is the ideal program for you.